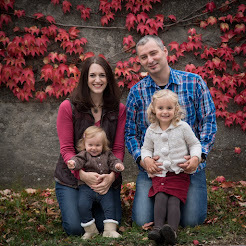 Nate and Bethany Johnson are cross cultural workers with WorldVenture serving the church in Vienna, Austria. The Johnsons departed for Vienna, Austria on October 7, 2012 to begin language study and ministry. After gaining experience in Austria, Nate hopes to pursue a master’s degree in relevant field that will best prepare him for further efforts in ministry. The couple has an interest in church planting and one day hopes to join a team to plant a new church in country. Nate grew up in a Christian home in Minnesota with two younger brothers and supportive parents. He was saved at a young age at Friendship Church in Prior Lake, MN. It was when he was in high school, however, that he saw the example and leadership of older students in his youth group and was challenged to take his faith more seriously. God first planted the seed of overseas missions for Nate when he participated in a short term missions trip to Mexico. Other short term trips followed and Nate continued to feel confirmed that God was leading him to be a missionary. He had a strong interest in cross-cultural communication and sharing the gospel across cultural borders. Nate decided to attend Moody Bible Institute, where he was confident he would receive the best ministry training. He earned a degree in International Ministry and as part of the program, was required to complete a 2-month internship overseas. Nate spent the summer of 2004 in Bosnia, teaching English camps and helping local missionaries reach out to their community. Nate was challenged by the need for the gospel in Europe and decided to pursue lifelong ministry on that continent. Nate is a gifted communicator with a passion for teaching God’s Word. He is eager to serve in the Austrian church, where there is a need to train national leaders and disciple new believers. Bethany grew up in a Christian home in Connecticut with an older twin brother and sister and two loving parents. She was saved at the age of 10 at the Covenant Church of Easton and grew in her spiritual development throughout junior high and high school. She was challenged by the example and witness of youth group leaders, Sunday school teachers and camp counselors. She participated in several short term missions trips in high school to Mexico, West Virginia and Georgia. She decided to attend Wheaton College and pursue a career in Marketing, earning a Communications degree with an art minor. After her junior year of college, she was prompted to join a college summer ministry team focused on hostel ministry in Europe. She spent the summer of 2004 working at a Christian youth hostel in Amsterdam. During this time, she experienced ministry in another culture for the first time and was challenged to consider overseas ministry. After college, she pursued a career in event planning. It was when she met Nate in 2007 that her passion for cross-cultural ministry was reignited. Bethany is a gifted administrator with a passion with mentorship, hospitality and discipleship. She looks forward to engaging with national believers to further the gospel in Austria.